1. Log in to your Ubuntu server and switch to a root user. 5. 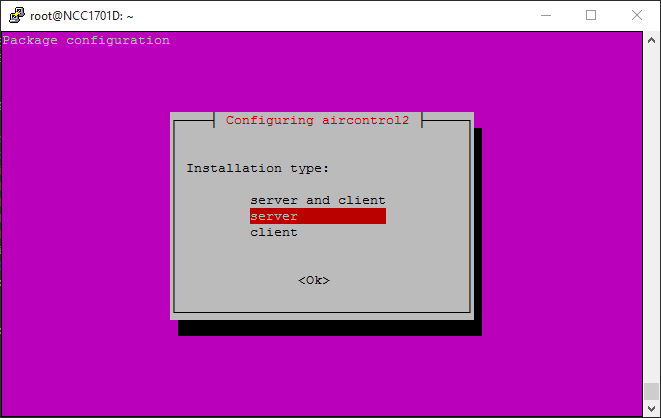 On the "Installation Type" screen, select "Server" and select "OK"
That's it. 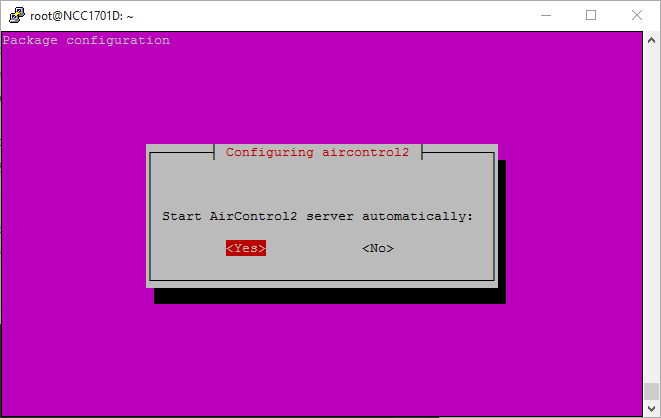 You should now be able to connect using the Aircontrol Client on your PC! 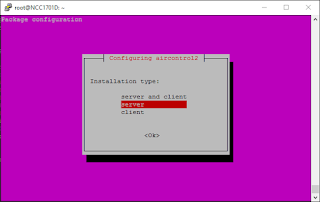 Could not find the main class: com.ubnt.ac.backend.AirServerLauncher. Program will exit. 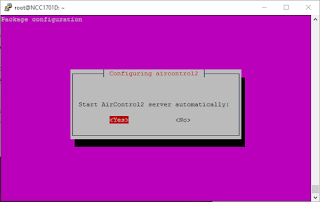 invoke-rc.d: initscript aircontrol2, action "start" failed. Yo tengo el mismo error! Thanks for the info... very useful !!! 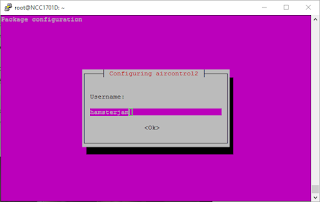 Running AC2 as per this guide on a new instance of Ubuntu 14.04 LTS on Amazon AWS. Seems to have installed OK as I can stop and start it with /etc/init.d/aircontrol2 (stop/start). However, I get no connection to http://myawsserver:9081. 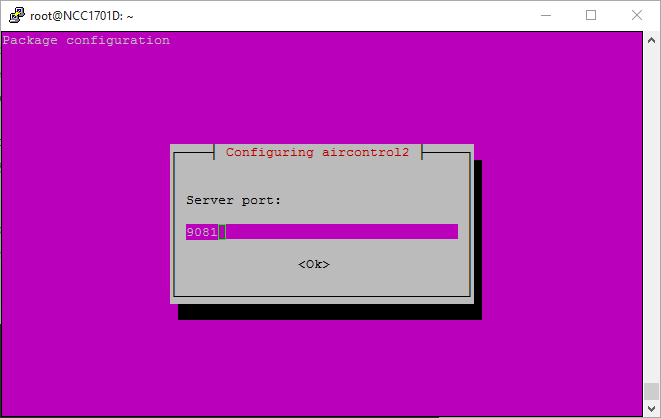 Nmap scan shows the server is up and port 9081 is filtered. What else should I check? que hago si el servidor no me corre? como lo desinstalo si deseo desinstalarlo?? ?